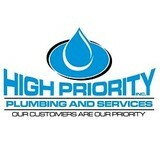 High Priority Plumbing and Services, Inc. is a family owned and operated plumbing company with two Georgia locations in Conyers and Rincon. Having been in the plumbing industry for over 25 years, owner Brian Simpson has a long history of exceptional customer service. Serving both your commercial and residential plumbing needs, we service water heaters, drains, sewer lines and more! 24 Hour Service Available. 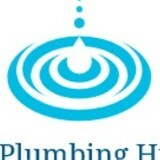 PlumbPro is is the premier plumbing service provider of the low country. We specialize in all areas of plumbing. Residential and Commercial service and repair, Residential and Commercial construction and remodel. Sewer and Water line repair, Slab leak detection and repair. 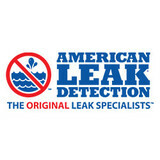 American Plumbing Service, Inc. of Savannah, Georgia has been the premier residential and commercial plumbing company in Savannah since 1966, providing plumbing services for a wide range of customers who have come to depend on our level of professionalism, superior workmanship and unsurpassed level of customer service. Over the years, we've seen a number of competitors enter the marketplace. Some are still around - many have not lasted. So what's the secret to our success and longevity? 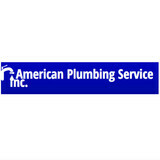 To American Plumbing Service, customer service is our top priority and that begins the moment we pick up the phone. When you call us, you'll always be greeted by our friendly, courteous and knowledgeable staff. They'll answer all of your questions to the best of their ability and do everything they can to arrange a service call that suits your busy schedule. Once we've scheduled your service call, we guarantee our plumbers will arrive on time. And in the unlikely event that our plumbers are unavoidably delayed, you'll be notified as soon as possible. Rooterman provides 24 hr service for all your plumbing emergencies. We also provide routine maintenance and fixture change outs. We are a locally owned and operated family business. Find Drain Cleaning Services in Savannah, GA to help you Fix a Clogged or Slow Drain. A plumbing contractor handles the installation and repair of water, sewage and natural gas pipes throughout a home, as well as interior and exterior faucets and fixtures. Plumbing contractors are also trained to work with water mains, septic tanks, laundry appliances, water heaters, sump pumps and other plumbing and pipe systems. Because plumbing repair work is done largely behind walls and beneath floors, some plumbing companies can also patch or replace tile, stonework and other surfaces. Although some Statesboro plumbers are generalists, others specialize in specific areas; a 24 hour emergency plumber will handle urgent residential repairs, while others may be more skilled in remodeling, natural gas lines, overhead sprinkler systems and more. Find a local Statesboro plumber on Houzz. Narrow your search in the Professionals section of the website to plumbing contractors in Statesboro, GA. You may also look through photos of Statesboro, GA projects to find a licensed plumber who has worked on a project similar to yours. Here are some related professionals and vendors to complement the work of plumbers: General Contractors, Septic Tanks & Systems, Kitchen & Bath Designers, Kitchen & Bath Remodelers.